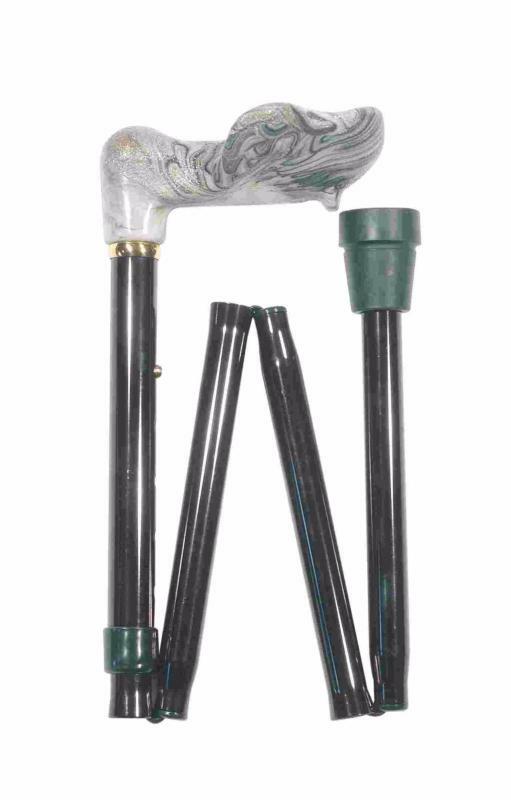 A practical folding cane fitted with a left or right handled orthopaedic handle suitable for those who cannot grasp a traditional crook or derby handle. Arthritis and rheumatism sufferers often find this a very suitable handle. The design spreads the user's weight over the palm of the hand, and fits all sizes of hands. The handle is made from a heavy-duty plastic in a non-slip finish. 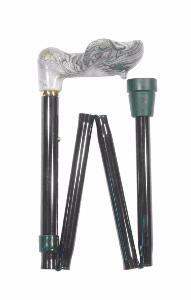 The light and strong aluminium shaft folds to four sections and is height adjustable from 80 to 91cm (approximately 31.5"-36"). Fitted with a rubber ferrule and smart metal collar. Ferrule diameter 19mm.